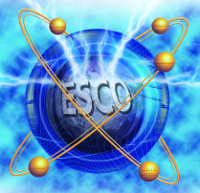 ESCO responds to the needs of university research labs and high schools. ESCO's dedication to laboratories in education for over half a century will continue to provide students, researchers, and faculty members in all fields of science everything from starter kits for chemistry labs to sophisticated instrumentation and innovative learning with elegant integrated technology. ESCO's commitment to a safe and friendly environment (water land and air) is in its the needs of the busiest environmental analytical testing laboratory to the smallest facility. The safety and well being of the public at large is a concern ESCO cherishes.the right partnering arrangements it enjoys, ESCO is capable of providing government agencies and authorities with a one-stop shop all of the required laboratory instrumentation, supplies and reagents for an efficient and cost effective operation. ESCO is always available to serve a wide range of labs in a diverse industry market. Large, medium and small industries alike, ESCO will respond swiftly to the needs of oil & gas facilities. pharmaceutical, food, beverage, biotechnology, cosmetic, water or agricultural laboratories. We care ESCO serves the health sector with a variety of products among them feature disposable clothing to masks and gloves, medical/surgical products, home health care equipment, handheld electronic gadgets and personal care items that help to create a feeling of well-being.